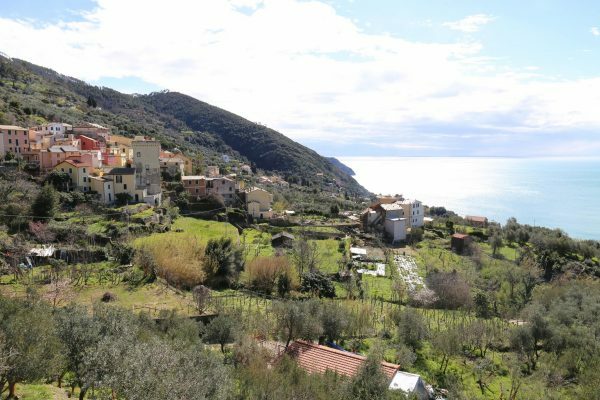 In the last ten years I have been back to Liguria several times, especially to the East Ligurian Riviera. Summer after summer I discovered its many treasures, from small fisherman colorful harbors to the steep trails climbing till the mountains peaks to enjoy stunning views and those landscapes that have enchanted people from all over the world and that have made this region such a famous one. Of course I knew the town of Levanto, but I must admit I’ve always quite snubbed it preferring to focus on more famous places to me more charming. But if there’s anything I’ve learned while traveling is that you never stop to get surprise and above all to make mistakes! 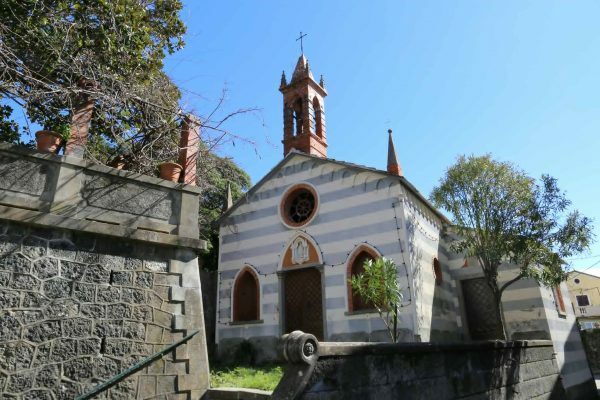 Levanto and its valley really deserve to be discovered and recently I was able to do so with my two year old son in a truly original and unusual way. How? Riding an e-bike or booster bike, with an integrated small electric on-demand motor to assist the rider’s pedal-power, by ebikein. 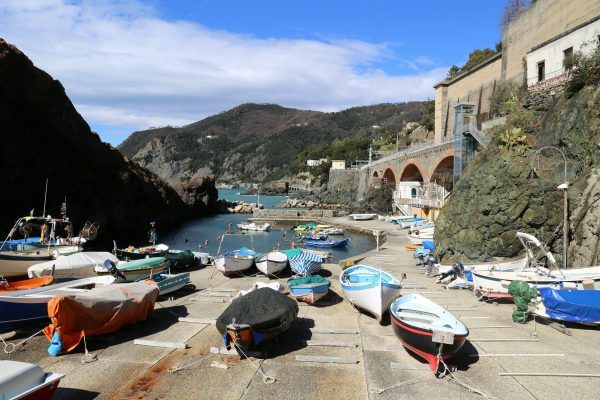 One of the main features of Levanto, as well as of large part of the region, is to be mountainous even if on the sea and this makes it almost impossible to be cycling around without being a trained biker. Hence the idea of ebikein to offer everyone the chance to enjoy the amazing upper views with any easily climb through the use of the ebike. With our nice and prepared guide Irene, a girl from Marche now living in Liguria, we did the “Discovering the Baie del Levante: Framura and Bonassola” tour proposed by ebikein, departing from Levanto we reached Framura through the hillside road heading North to Genoa and got back to Levanto along the waterfront bike path through the ancient railway tunnels, not without a stage in Bonassola. I must admit that there is no better alternative to visit these places, especially the small hamlets composing Framura, a jewel so far completely unknown to me. Thanks to our ebike we visited places inaccessible to cars, along the narrow alleys cutting the local terraced gardens. The blue of the crystal sea seen from above, the bright yellow of lemons hanging from the branches of the trees, the sound of rapid streams that flowed into the valley and the smells of the approaching spring are feelings one need to savor slowly to fully appreciate. 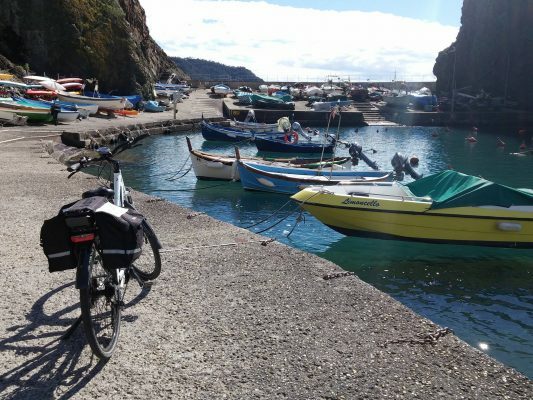 We went down to the small harbor of Framura, to look closely at the boats left by the fishermen to rest placidly in the sun, as if they were colored sea lions and, thanks to a bike friendly glass elevator, we reached the upper bike path level. Where once ran the train now there’s a picturesque paved waterfront runway allowing visitors to reach Bonassola and Levanto in a few minutes ride. The blue sea and the darkness of the tunnels alternate until suddenly comes Bonassola with its beautiful waterfront, an excellent location for a drink. And then again the sea and the tunnels till Levanto, where me and my little one concluded our tour with with a nice portion of pasta with the pesto of Levanto (a very local red version pesto) in one of the restaurants overlooking the sea. Was there a better way to end the morning experience?